(Bloomberg) – Here’s a surefire way to infuriate your shareholders. 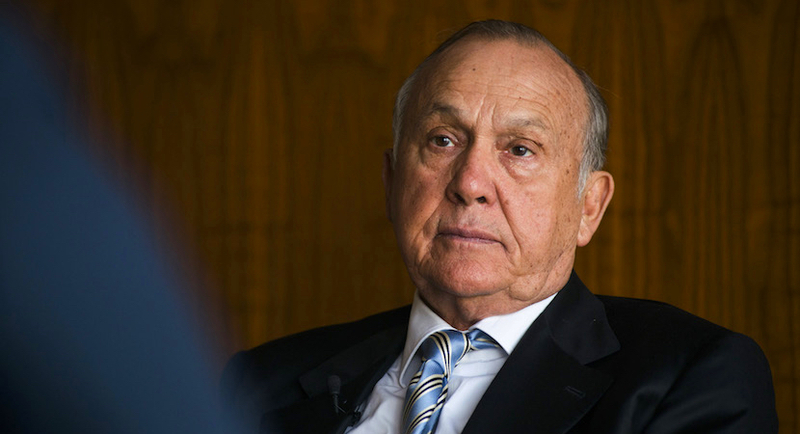 In 2011, two companies linked to South African billionaire Christo Wiese offered top managers an option to buy shares in the businesses they were running. Plenty of companies do that, but not necessarily with this additional sweetener: The executives in question received bank loans to buy the stock – loans that were guaranteed by the company in the event they couldn’t be repaid. Clothing retailer Pepkor Holdings Pty Ltd., now part of Steinhoff Africa Retail Ltd., and investment company Brait SE clearly saw the perk as a straightforward way of keeping top brass focused on their jobs. What they didn’t bargain for is their mutual downturn in fortunes, erasing the benefit for managers of having the shares, and now both companies risk having to shell out to settle their managers’ bad debts. Wiese says best practice was followed when the plans were devised. Last month STAR, as Steinhoff Africa is known, told investors it put aside R440 million ($32 million) to pay back the loans of 44 Pepkor managers, many of whom bought stakes in the then-closely held company. Those shares were converted into Steinhoff International Holdings NV stock when Steinhoff bought Pepkor from Wiese for $5.7 billion in 2015. The guarantee on the old Pepkor stake was then bumped over to STAR when the Africa operation was spun off into a newly listed unit in September. Steinhoff shares have now famously crashed, losing 97 percent of their value since the owner of the Conforama, Poundland and Mattress Firm reported a hole in its accounts in December. So, even though it’s now separated from Steinhoff – and has a clean set of financials – STAR is the guarantor on the loans for its managers’ now near-worthless shares. In a strikingly similar plan to Steinhoff’s, Brait backed a R1.2 billion outlay to about 16 senior staff for the purchase of shares. In this case the managers at least put an additional R300 million of their own money into the pot. Yet like Steinhoff, albeit for entirely different reasons, the value of Brait’s investments has nosedived. On advice from auditors Deloitte LLP, Brait has earmarked 641 million rand of funds to repay the loan due in 2020. The provision was based on the net asset value and accounted for in the earnings released this week. If Brait recovers in full there may be a surplus for executives when the debt is due in 2020. “Management is also in this, in their personal capacity, so it’s quite an incentive,” Chris Seabrooke, the chairman of Brait’s South African unit said by phone.